If you've been involved in SCBWI for any length of time, you certainly know the value of Regional Advisors. RA is a voluntary position and involves but is not limited to: coordination of local volunteers; planning regional conference and events; fielding questions and concerns from regional members; assisting with the Annual Conferences (registration, speaker introductions); keeping up with and disseminating news and policies from SCBWI HQ; and much, much more. And let me tell you, it's not an easy job. (I had a unspectacular run as an RA for Southern Ohio in the early '90s, so I speak from experience. Putting together CWIM was so much easier.) Regional Advisors are dedicated volunteers who help other creative people realize their dreams while they pursue their own. So I'm truly happy to announce that SCBWI has just created a new award exclusively for Regional Advisors, Assistant Regional Advisors, and Illustrator Coordinators! 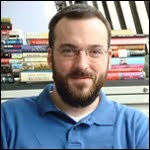 Starting in 2011, SCBWI will present two Works Of Outstanding Promise (WOOP) awards of $1500 each. "We realize there is so much talent in this amazing pool of people, and we want to give RAs both a reward for service and a leg up on getting their work published," said Lin Oliver and Stephen Mooser. 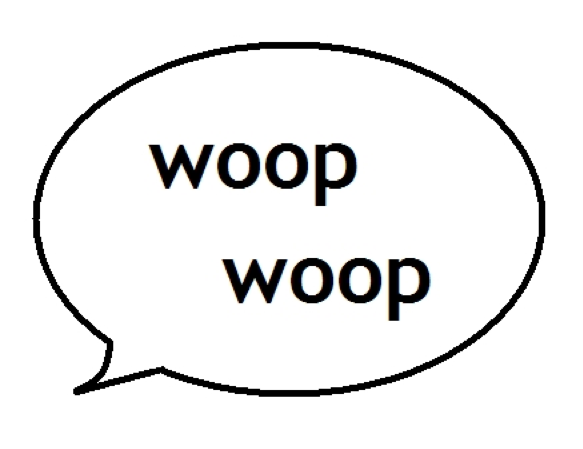 "The WOOP will be given to a work in progress, and the application and judging will be very similar to our current WIP form. The difference is that these are reserved exclusively for RAs. Winning one of the WIP grants has given many people both the resources to finish their work and a real path to publication. 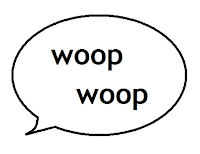 We hope the WOOP awards will do the same for RAs." WOOP application forms will be available online on around January 1st, judging will take place in May, and the winners will be announced at the SCBWI Annual Summer Conference in August. 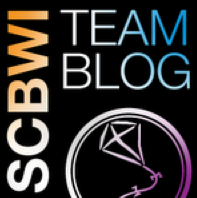 Weekly on the SCBWI blog, I share snippets of and links to some of the publishing/media-related news I've read during the last week that I found interesting, helpful, and/or fun. I've been doing this on Fridays since the blog debuted, but look for Saturday news round-ups occasionally in the next couple of months (due to a hefty freelance writing gig). As you peruse the articles beginnings below, click titles to get to read the rest of the stories. This week's stories include Google eBooks launch, trends courtesy of Scholastic, research tips from the recent NBA winner, a best YA list from GalleyCat, bookscan stats on Amazon, hard times for Borders, why teens don't tweet, eBook predictions, trouble for GLBT teens, and more. After months of anticipation, Google today launched its long-awaited cloud-based e-book program, Google eBooks. Rebranded from its original moniker, Google Editions, Google eBooks overnight becomes the largest e-book provider in the world, at least in terms of its offerings, launching with nearly three million books available for purchase or download, including “hundreds of thousands of e-books” available for purchase and over two million public domain titles available for free. Kathryn Erskine tackles tough subjects through children’s books. 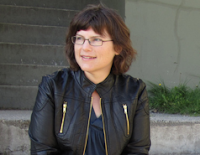 Her debut novel, Quaking, responded to the Virginia Tech tragedy. Her second novel, Ibhubesi: The Lion, dealt with apartheid. Her third book, Mockingbird, featured a character with asperger’s syndrome–winning this year’s National Book Award for Young People’s Literature. We caught with her to learn about her writing process. Here are some highlights from the interview. What’s the best young adult book you’ve read this year? Share it in the comments and we’ll add it to our new literary mixtape of the Best YA Books of 2010. This GalleyCat editor makes an annual mixtape (CD actually, but the idea is the same) collecting his favorite songs from the year–allowing his friends and family to sample some of the year’s best music. We love reading “Best Books of …” lists, but we want to build a list focused exclusively on sample chapters. Using your suggestions, we will create a giant directory linking to sample pages from your favorite YA books from 2010–allowing readers to sample the books like a literary mixtape. Scholastic, the largest publisher and distributor of children’s books, today released a list of 10 Trends in Children's Books from 2010. The list was compiled by editors from Scholastic, including children’s literature experts from Scholastic Book Clubs and Scholastic Book Fairs, divisions of Scholastic that distribute books from all publishers through schools nationwide. "We've seen some exciting innovation in children’s publishing in 2010, including new formats and platforms for storytelling that are helping more and more kids become book lovers," said Judy Newman, President of Scholastic Book Clubs. "At the same time, we’re seeing a rejuvenation of some classic genres, which I think is evidence of the timeless power that stories and characters have on the lives of children." Authors responded to Thursday's news of Amazon making Neilsen BookScan's sales numbers available with both enthusiasm and trepidation. "Get the Xanax ready," tweeted David MacInnis Gill, author of "Black Hole Sun," a sci-fi thriller for young adults. In an e-mail, he explained: "Authors worry. We worry about writing. Worry about our editors, our agents, our reviews, and our readers. We worry about everything, including all forms of social media including blogs, Facebook, Twitter, and personal websites. The one thing we haven't been able to obsess about is real-time sales numbers." Gay and lesbian teens in the United States are about 40 percent more likely than their straight peers to be punished by schools, police and the courts, according to a study published Monday, which finds that girls are especially at risk for unequal treatment. The research, described as the first national look at sexual orientation and teen punishment, comes as a spate of high-profile bullying and suicide cases across the country have focused attention on the sometimes hidden cruelties of teen life. I'm 16 and, unusually, I use Twitter quite a bit. I say unusually because perhaps you've heard that teens don't tweet. This first came to light last year when a 15-year-old Morgan Stanley intern wrote a report [PDF] where he explained that teens "realize they are not going to update it," and that "no one is viewing their profile, so their 'tweets' are pointless. Teens' lives are entirely built around their actual friends. Quite simply, why would teenagers bother using Twitter when Facebook exists, and offers so much more? Teens want a platform that allows easy, fully-functional communication to an exclusive social circle. That is, solely to their friends and peers. Twitter is a platform built for inclusive broadcast (to everyone), and to teenagers it offers no obvious value. 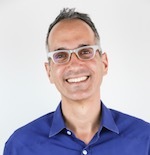 Founded by New Yorker staff writer Dana Goodyear and former New Yorker managing editor Jacob Lewis, Figment.com is an online writing community aimed at attracting a membership of young people, ranging from kids to teens and older, to post, share and comment on each other’s original writing. Launched this week, the site is also teaming with YA author Blake Nelson, author of the well-received 1994 adult novel Girl, who is serializing Dream School, a long unpublished YA sequel to Girl, on the Figment site. It's the end of the year, which means prophets will soon be flooding every possible venue with predictions for the future. Most of them will end up being laughably wrong. And because it's the end of the decade, they'll be wrong about what happens for the next ten years. The publishing industry is especially difficult to speculate about because it's undergoing so much upheaval. 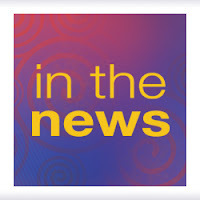 And be sure to visit my blog tomorrow for my IN THE NEWS THIS WEEK feature one day late. Click here to register for the SCBWI Annual Winter Conference where you can take in the wisdom of Linda Sue, and the rest of the awesome faculty, in person. I took the day off that day after Thanksgiving (devoting the day to eating was pie), but I'm back this week with links to piece a piece on Black Friday book sales, a great PW roundup of YA publishers, the continuing Kindle vs. iPad popularity contest, the best agents on Twitter, some tips for self-editing, ABC plus ABA, an addictive blog on subway reading, and more. Many independent booksellers contacted by PW earlier this week reported solid holiday sales over the Thanksgiving weekend. While those figures include adult titles, especially memoirs—former president George W. Bush’s Decision Points, Keith Richards’s Life, and The Autobiography of Mark Twain—children’s books contributed to sales boosts. Two standouts, even at stores that don't typically boost a high percentage of children’s sales, were the fifth Wimpy Kid title and the first book in the new Heroes of Olympus series. At 40-year-old Breakwater Books in Guilford, Ct., where children’s comprise 30% of sales, the bestseller for the entire weekend came from the kids’ aisle: Peter Yarrow’s The Night Before Christmas, which features a musical recording by Peter, Paul, and Mary, and paintings by Eric Puybaret. And at BarnesandNoble.com, the perennial holiday favorite, The Elf on a Shelf by Carol V. Aebersold, held top positions in books for the gift set, with a light-skinned elf at #1 and a dark-skinned elf #10. There is no shortage of media coverage about boom times in the young adult market. Looking beyond the houses responsible for many of the bold-faced headliners at the top of bestseller lists, one finds an enthusiastic group of publishers, some newcomers to YA, whose authors are making impressive contributions and helping to satiate the reading appetites of Twilight- and Hunger Games-frenzied fans. From these publishers comes word of thriving YA programs, fueled by a bumper crop of talented new writers—many of whom are startlingly young—and a sizzling double-edged crossover market involving more adult authors penning YA novels and more adult readers buying YA fare. Editors claim they are not filling their lists with derivative stories (though vampires and dystopian landscapes are surely in evidence), but are signing up books in an increasingly diverse range of genres. Here's a look at some of these publishers' offerings and observations. For some time now, I’ve meant to start a recurring feature highlighting some of our favorite small presses. We independent booksellers are always working to get the message out about the wonderful benefits we offer to readers; just as important is our support of smaller indie publishers, who likewise depend on us to recognize and value (and buy) the unique books they have to offer. In this economy especially, we need to put our money where our mouths are. Let’s hear it for small presses! Kindles and iPads are closely competing this holiday season. While more people currently own Kindles, iPads are growing in popularity, says a new consumer research study by ChangeWave Research. In August, ChangeWave interview more than 2,800 consumers to inform the new report called “The Consumer Electronics Spending For the Holidays. The report found that 47 percent of eReader owners own a Kindle and 32% own an iPad. Interestingly, readers find the iPad more satisfying as an e-reader, with 75% of iPad owners saying that they are “very satisfied” with the tablet as an eReader, compared to 54% of Kindle owners reporting the same thing. By a vote of 105 to 23, members of the Association of Booksellers for Children have approved a merger with the American Booksellers Association. This marks the culmination of a process set in motion nearly two years ago when the ABC board, concerned about the organization’s long-term survival given that nearly two thirds of its budget is funded by publishers, initiated possible merger discussions with ABA. Looking for an agent? To help aspiring writers, literary agents, and publishing professionals connect online, we are building a new directory of best literary agents on Twitter. At the eBook Summit on December 15th, we will have a special panel discussion about finding an agent in this new digital publishing landscape. Reading these agents every day will help you prepare as well. Add your favorite agent (or yourself) to the growing list below. Our feeble list IS NOT COMPREHENSIVE–yet. We will regularly update the directory, just like our other directories of publishing professionals on Twitter. This will a BIG directory, so please be patient as we update. The last time I was stuck somewhere without a book to read was 1988. The place was Homa Bay, a village on the Kenyan shore of Lake Victoria that I wouldn't be leaving for five days at the minimum, with lots of downtime in store. After three days I'd finished both John Le Carre novels I'd brought with me. I was only saved from spending the endless hours watching scorpions skitter across the sand by the Gideons, whose geographic reach really is remarkable. After that experience, I never left home without a Dickens in my knapsack, on the principle that you can't get stuck anywhere on Earth long enough to get all the way to the end of "Little Dorrit. "But that wouldn't be an issue for me today, because now I have my Kindle. A couple years later she stopped here in the Nati on a book tour and I attended both her events, one at a Barnes & Noble and one at Joseph-Beth. The B&N event, for some reason, was not well attended. (It was pretty much just me, the store events person, and a teen and her father who stopped by.) 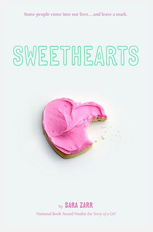 Still Sara spoke to us as if it was a packed house, and I was moved by the story behind her writing SWEETHEARTS, her second YA novel (a Cybil Award Finalist). I bought a copy, read it on a plane a few weeks later, and wept. Sara is a deep thinker, a terrific and interesting human being, and an amazing writer. Her third book, ONCE WAS LOST was a Kirkus Best Book of 2009. She's a three-time finalist for the Utah Book Award. She's had short fiction and essays published in print and online and is working on a fourth novel. And she's a keynote speaker at the SCBWI Annual Winter Conference! Click here to register for the event and hear Sara Zarr--and the rest of the terrific faculty--offer insights and advice in person. And in the meantime, enjoy my interview with Sara, in which we talk about writing, public speaking and attending conferences. You recently served as a judge for the National Book Awards (for which you were once a finalist). What was it like being on the other side? How did it feel attending the event as a judge? The judging process was challenging and sort of took over my life for six months of 2010, but ultimately I found the experience extremely rewarding. It gave me the chance to read widely and deeply, and consider what a book really is and what we are trying to do as writers. I also enjoyed working with the other four judges on the Young People's Literature panel, finding common ground as well as passionate disagreements, and coming away with a ton of respect for each other. Attending as a judge was way more fun than attending as a finalist! I could actually relax and enjoy the whole night without it feeling surreal or panic-inducing. You're delivering a keynote at the SCBWI Annual Winter Conference. What's the theme? Can you give us a teaser? I'm going to talk about crafting a satisfying writing life. I think it's easy--especially when you're starting out--to get caught up in and stressed out by the business end of things. It is important to understand that part of the job, and of course it's something you must navigate to become a traditionally published author. I want to talk about habits of thought and action that help sustain a writing life at all phases of one's career--how to persevere in looking for that balance between smart career management and care of the creative self. Your bio on your sarazarr.com says you majored in Speech in college. (For me, that would be right up there with swimming in shark-infested waters or contracting Ebola.) Lots of newer authors suddenly find themselves having to give speeches and presentations. Could you offer a few pieces of advice to the nervous ones? Well, my emphasis in the Speech & Communications major was Organizational Communication, so it wasn't so much about public speaking. That said, I've always been comfortable talking in front of people. And when I say "comfortable," I don't mean I don't get nervous or scared. But I usually come out of it feeling energized and glad I did it, especially if I feel like I made a real connection with the audience. That doesn't always happen, and it's definitely a sinking feeling when you realize you've failed to get the audience on board with you. As for advice: When I first started talking in front of audiences as an author, I would get very stressed out and spend weeks taking notes and organizing thoughts and writing stuff on index cards. Then I realized: I'm an expert on me and my books. That freed me up to take a more extemporaneous approach with my talks. So if at all possible, only agree to speak about things that fall in your area of expertise, then remind yourself that you are an expert. You talk about this stuff with friends and family and colleagues all the time in casual conversation, and there's no reason to think talking in front of an audience needs to be that different or super formal. Can you tell us anything about your next novel? I'm excited about it! There are two narrators with very different lives, whose worlds collide around an open adoption by one of the narrator's mothers. The title hasn't been finalized yet, but it should be out sometime in fall 2011. Had you attended any SCBWI events before you found your agent and got published? Why would you recommend writers working toward publication attend conferences? I came to SCBWI NY twice before I was published. I believe the years were 2001 and 2005. For me, conferences during that time were all about inspiration and feeling like a writer. It can be hard for non-writer friends and family to understand what it is we're doing, and why, and being around other people pursuing the same goal and talking about that goal is a relief from the isolation (and, possibly, frustration) of working toward publication. "Finally, people talking my language!" I was never great at the networking part of conferences--small talk and cocktail parties scare me--but I listened and observed well, and all of that information helped me out in some way down the line. Also, investing the time and the money in coming to a conference demonstrates to yourself and to others that you take writing seriously, and there is a lot of value in that.